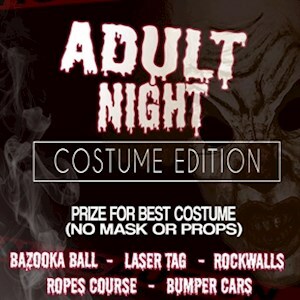 Purchase Adult Night admission and try out the attraction everyone is talking about, BAZOOKA BALL! Only free with purchase of Adult Night admission on April 12th, 2019. Presales are selling fast and are expected to sell out so purchase while you still can.